It's been a big month with great news for Skyliners! 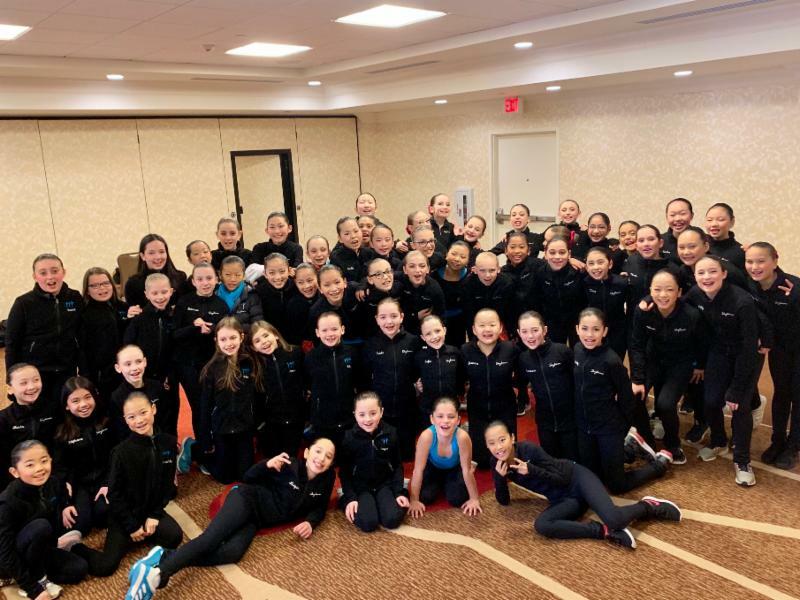 First, a huge congratulations to our Intro, Beginner, Central Park Beginner, New Jersey Beginner, Pre-Preliminary, Preliminary, Pre-Juvenile, Central Park Pre-Juvenile, New Jersey Pre-Juvenile, Open Juvenile and New Jersey Open Juvenile lines on completing an amazing and inspiring 2018-19 competition season! At Easterns, our non-qualifying lines won the Preliminary, Pre-Juvenile and Open Juvenile Championships and additionally brought home one Silver and one Bronze medal! More big news at Easterns: all five of our qualifying lines earned spots for Nationals, with Juvenile and Novice winning the Eastern Championship, Intermediate capturing Silver, and Junior and Senior earning a "bye" to Nationals due to their Team USA commitments. For Team USA, what a season it has been! The Senior line came in 6th at the Mozart Cup in Salzburg, Austria and just took Silver at the Zagreb Snowflakes Trophy in Croatia! 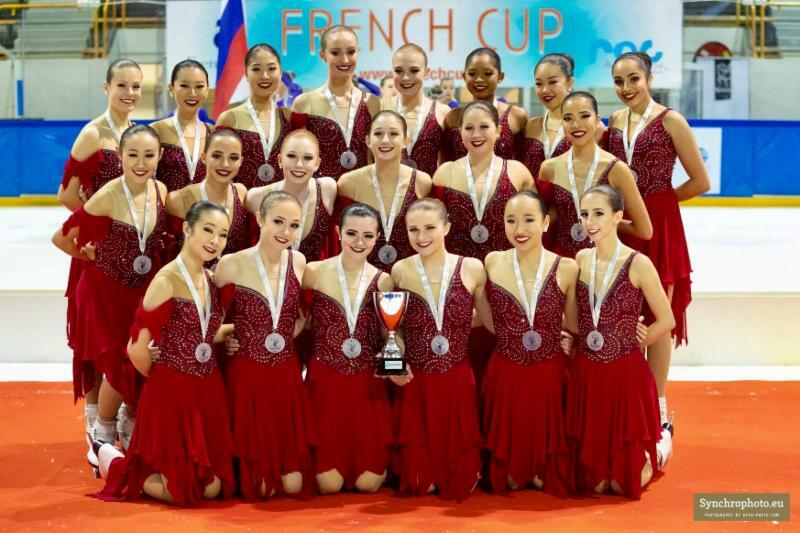 The Junior line earned Silver at both the Mozart Cup and French Cup in Rouen, turning in strong performances among the top teams in the world! 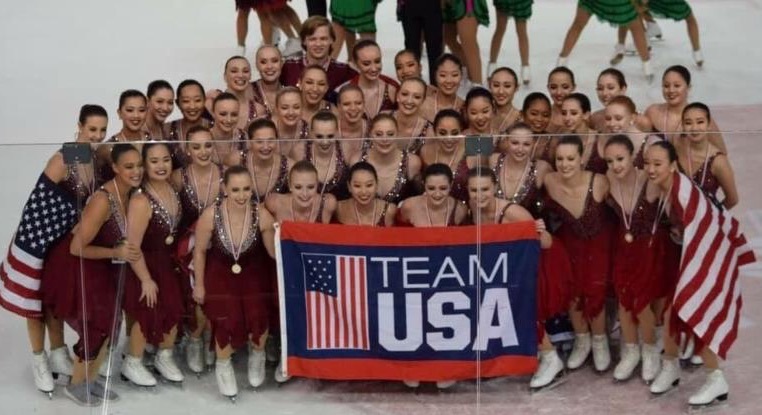 Make sure to root for our skaters at the 2019 U.S. Synchronized Skating Championships in Plymouth, Michigan, Feb 28- March 2. 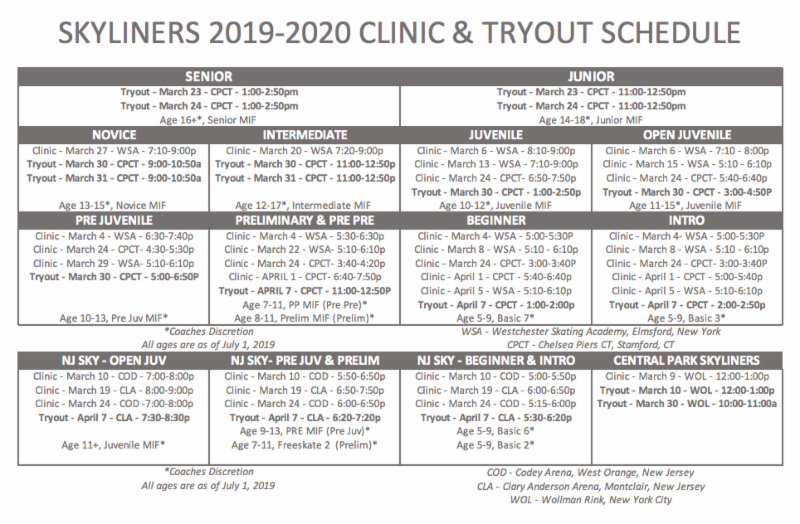 This issue of SkyBlast features the 2019-20 tryouts & clinics schedule, End of the Year Party information, our latest team round-up including two Team USA diaries, and an amazing Q&A from Skyliners Skating Performance Coach Paula Wagner. Go Skyliners!! 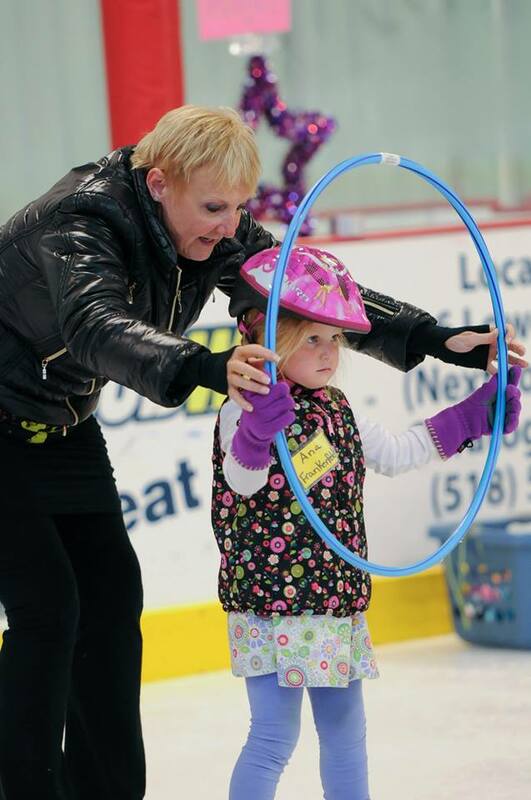 Skyliners' success as an organization is dependent on the leadership and work performed by its parent volunteers. There are a limited number of Skyliners Board positions opening for the 2019-20 season. Our Board offers a variety of ways to serve the team, and we look for talented, dedicated parents who have the time and skills to assist the organization. If you would like to be considered, or have questions about service, please contact Board member Larisa Mueller at Larisa Mueller@skylinerssynchro.com or by clicking HERE. 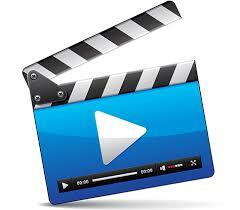 WE NEED YOUR VIDEO SUBMISSIONS! Help make our 2018-19 End of the Year party video the best ever by uploading your team videos now! We are looking for smartphone videos of candid team moments: on the bus, off-ice, cheers in the bleachers, team dinners and parties! We would love to represent every Skyliners line, but we can't without your submissions. 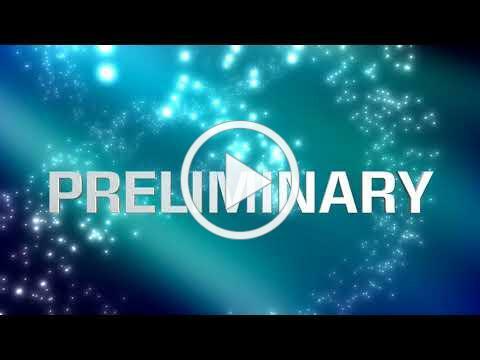 Watch the 2018-19 party video (above) and don't forget to contribute your videos now! Intro had such a great time competing at Terry Conners in December, and performing in the holiday show at Westchester Skating Academy. 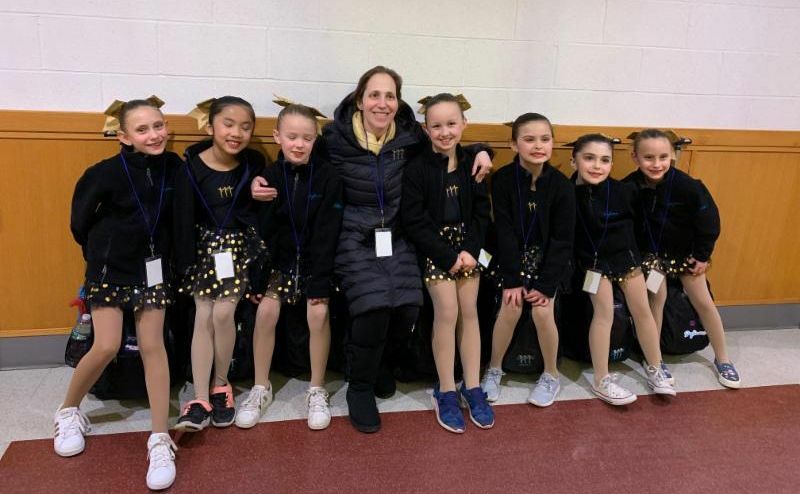 They were looking forward to competing for the second time this season at the Connecticut Synchronized Skating Classic in Hamden, CT. And they definitely had another great skate - earning Gold and ending the season strong! Go Intro! Beginner helped to celebrate National Skating Month by performing at a fun exhibition held by the Rye FSC at Westchester Skating Academy. 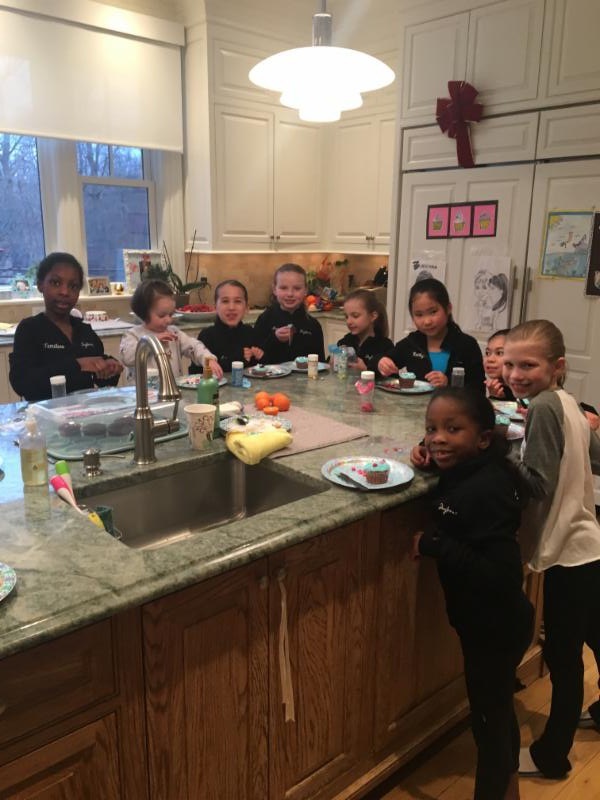 Following the show, the Chulack family kindly hosted a cupcake-decorating party for the line, where the girls displayed their real-life confectionary skills. Thanks to a Pre-Preliminary mom and our line moms, the girls also took home Skyliners-themed Rice Krispies treats! 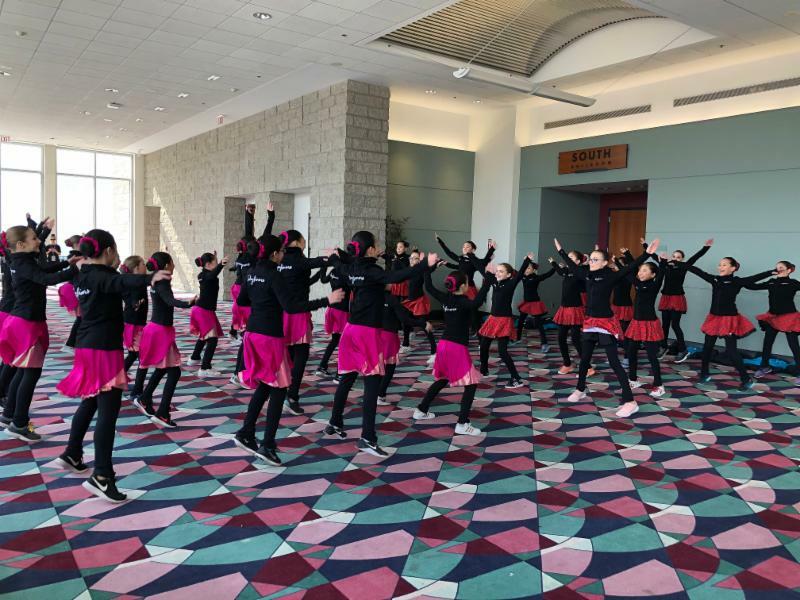 Beginner's last competition was the Connecticut Classic, and the cherry on top of their successful season was keeping their all-Gold streak. Go Beginner! Go Skyliners! 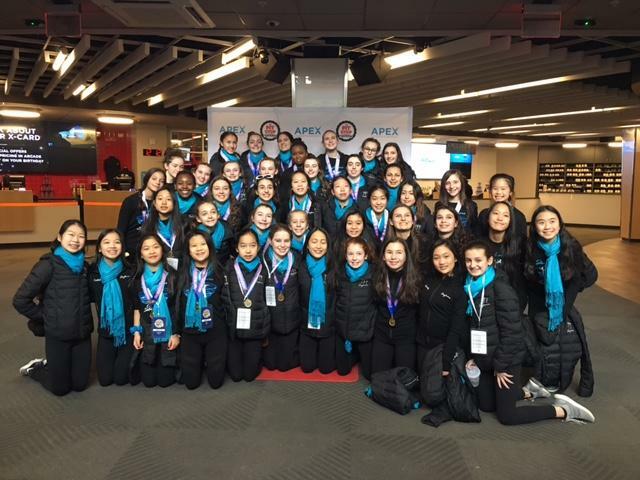 The Central Park Beginner line had a great time performing at their first competition of the season, SCNY Synchro, where they placed second. The competition at Chelsea Piers NYC was well-attended, and the line enjoyed skating in front of the large crowd. 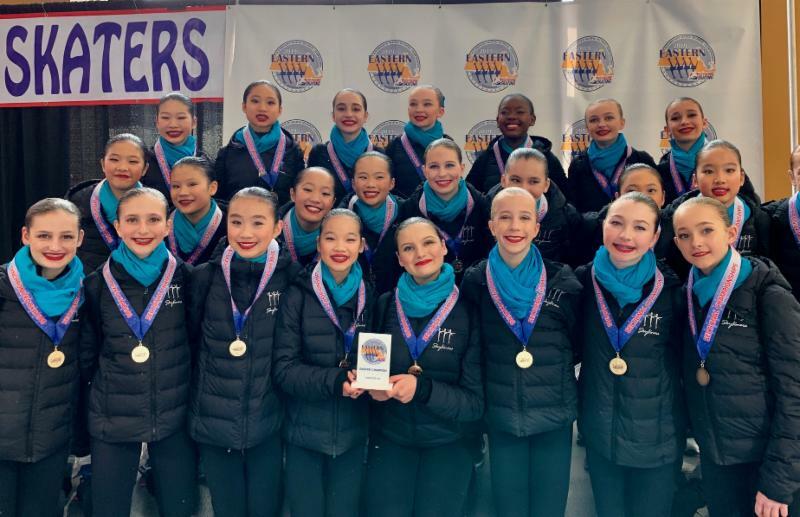 They were excited to compete at the Connecticut Classic with all of the other Skyliners teams, and they captured their second Silver medal! 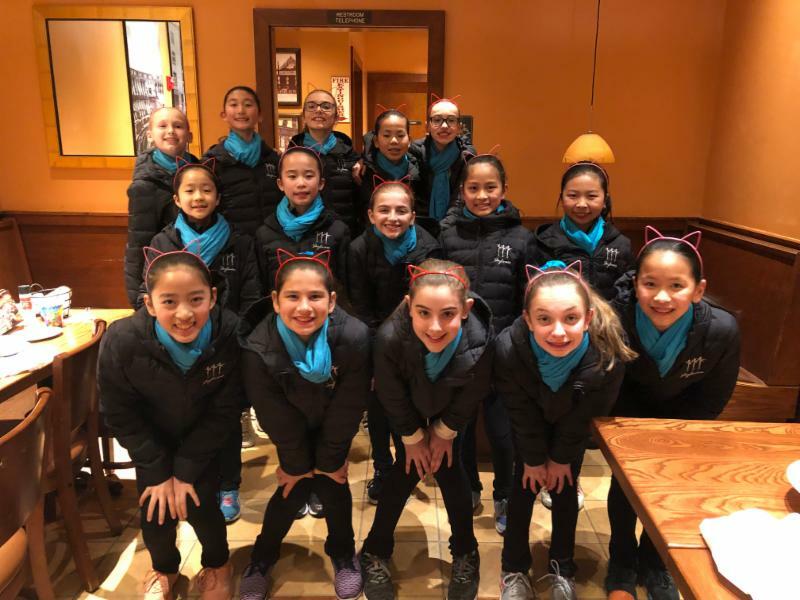 New Jersey Beginner was so excited for their last competition of the season, the Connecticut Classic, where they took Pewter! 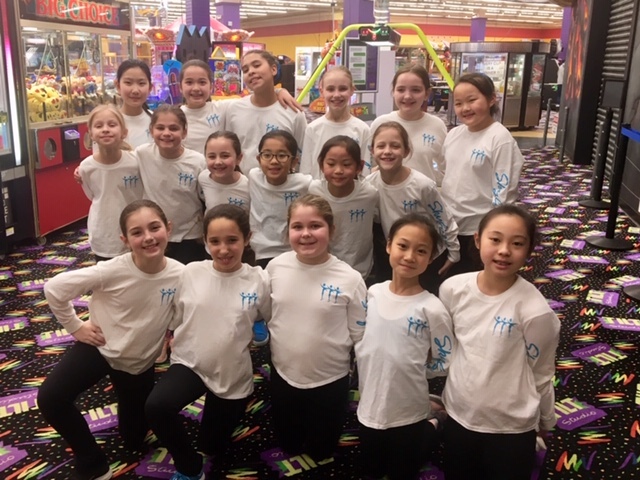 They are also excited to get to skate with their NJ Sky teammates at the last practice party at Codey on February 11! Pre-Pre kicked off 2019 with spirit, earning a Silver medal at the Colonial Classic. They went on to practice hard and have a solid showing at Easterns at the end of the month. 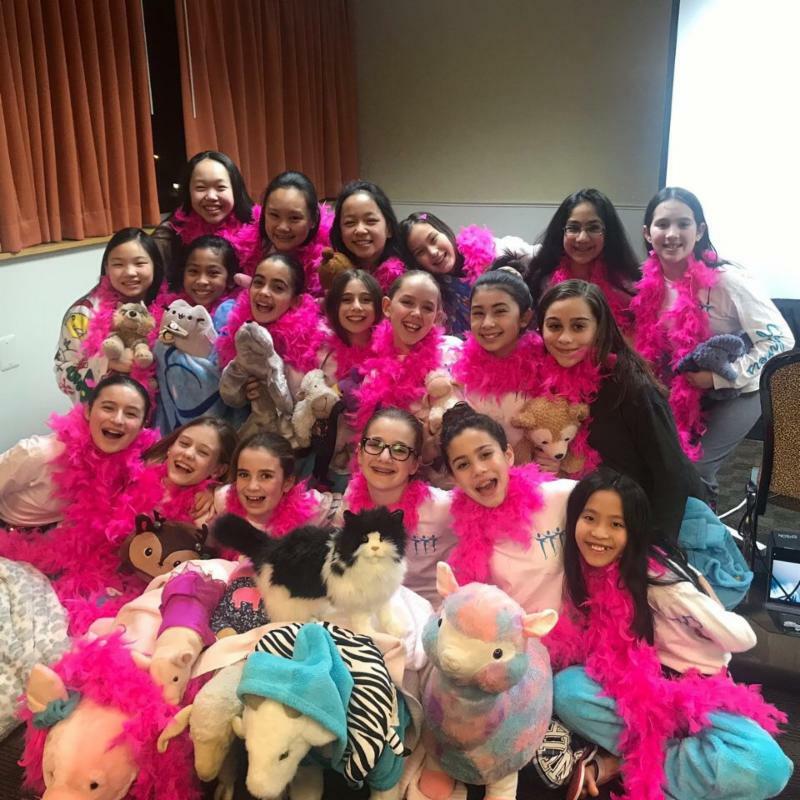 Off the ice, they were treated to several team-building celebrations, including a New Year's Eve party at Sport-O-Rama, a laser tag dinner in Marlborough, MA and a fun fiesta lunch with their Preliminary teammates during Easterns. 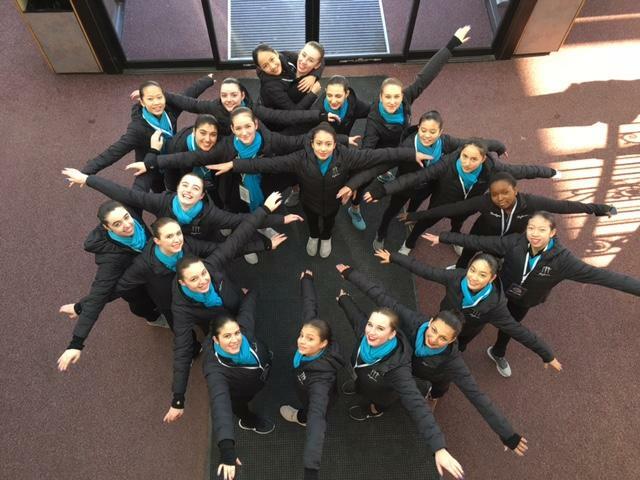 They were excited to finish the season strong at the Connecticut Classic, where they took Bronze! Preliminary had a very eventful January! After opening the New Year at Colonials with a Gold medal, they worked hard during practices to make the routine sharp and fast. The mohawks were crisp, the smiles were huge and the Beilmans were pulled high! Then came Easterns, this line’s biggest challenge. Alarms went off in the dark each day as boots and parkas were pulled on to shield against the subzero temperatures in Worcester. But inside, everyone was in high spirits! There was dancing, fierce card games during hair and makeup, and an electricity in the air that went hand-in-hand with such an important event. The girls took deep breaths and went on the ice with the knowledge that months of practice would guide them through. And it did! They earned the Easterns Gold! 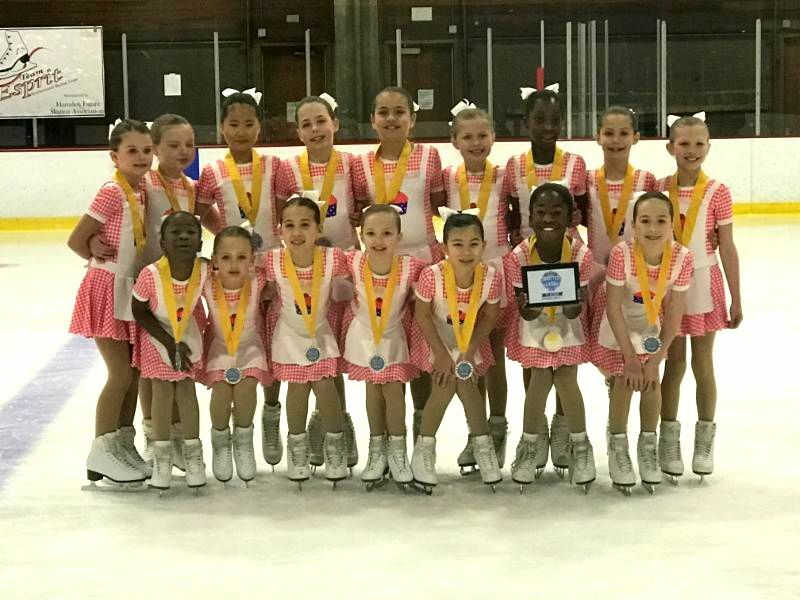 They were thrilled to end the season at the Connecticut Classic with another Gold medal. 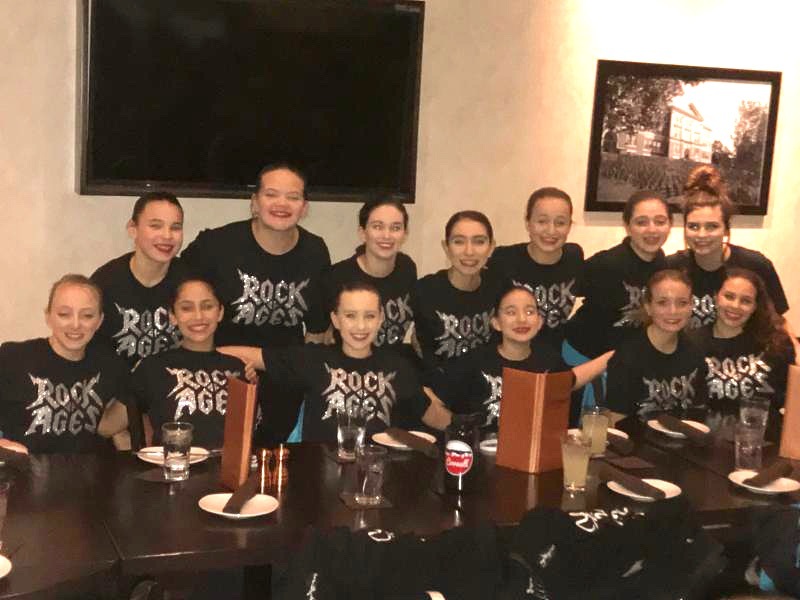 Pre-Juvenile rocked Easterns, putting in great practices and getting pumped up with an awesome team bonding event complete with singing, dancing and fun swag while they watched the Mamma Mia 2 movie! In the championship round, the team rose to the occasion with an amazing performance of their Mamma Mia! program that crowned them Easterns Champions, complete with straight “1’s” from the judging panel! Pre-Juv congratulates our fellow Skyliners lines on their medals. They captured one more Gold at the Connecticut Classic, and will be closing out this wonderful season with what will be a bittersweet final practice skate party. Central Park Pre-Juvenile has been hard at work and in full competition mode! 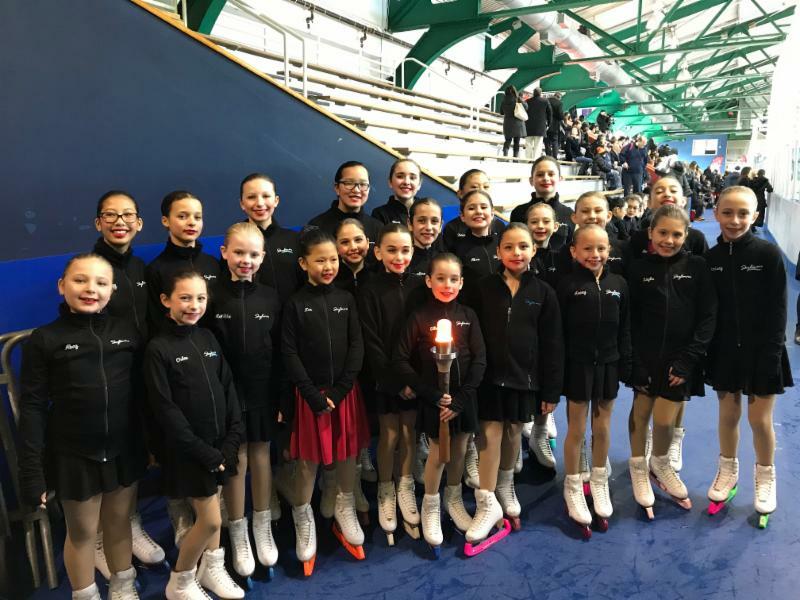 On January 27th, the line performed an exhibition at the SCNY Synchro Competition and was part of the torch relay for Empire Games. They had been looking forward to heading to Lake Placid, and both parents and skaters had a wonderful time! The line attended Opening Ceremonies with all of the other athletes, competing in the various winter events, and found the guest speakers truly inspirational. The skaters and coaches braved the cold weather and enjoyed dog sled rides, followed by a fun lunch at Nicolas. They loved competing on the 1980 rink and had a good skate, coming in 5th. 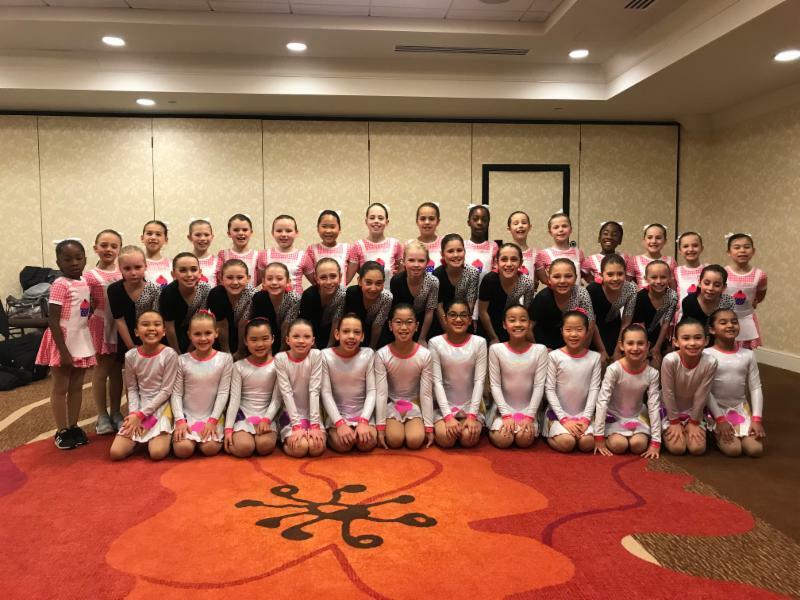 They loved competing and cheering on all of the other Skyliners lines at their final competition, the Connecticut Classic! The New Jersey Pre-Juvenile line had a very exciting and successful January! The girls earned their second Gold medal of the season at the Colonial Classic. A highlight of that trip was teaching their bus driver, Uncle Rudy, the Skyliners cheer song. They were excited to see him again as their bus driver at the Eastern Sectional Championships, where they placed 1st in the qualifying round. The line enjoyed a delicious dinner together at Bertucci’s . Then, they rocked their routine in the finals, earning them second place at Easterns! Much fun was had before finals, warming up with the CT Pre-Juvenile team, and then afterwards jointly finding out the results of being the Gold and Silver medalists! They ended the season with another Silver at the Connecticut Classic! 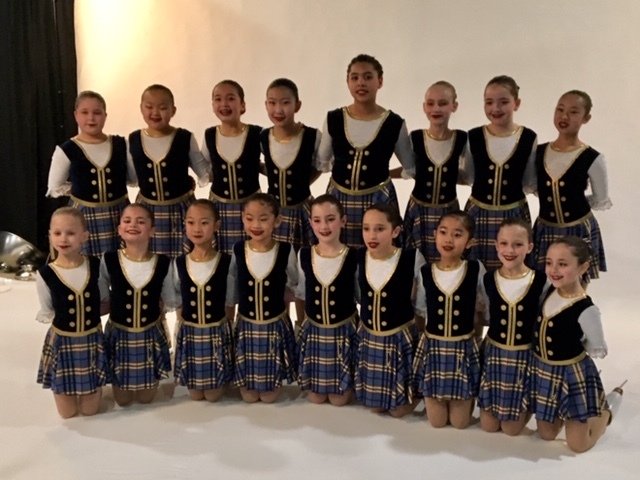 Recalling the day of the 2019 Eastern Sectional Championships leaves us with only one thing to say: ”Our hearts belong to the Circus!” The Juvie skaters displayed so much emotion, passion, and technical competence during their skate that the judges had no other choice but award the team with the highest score and first place. This is the 9th consecutive year that Skyliners Juvenile has won the Eastern Championships!! 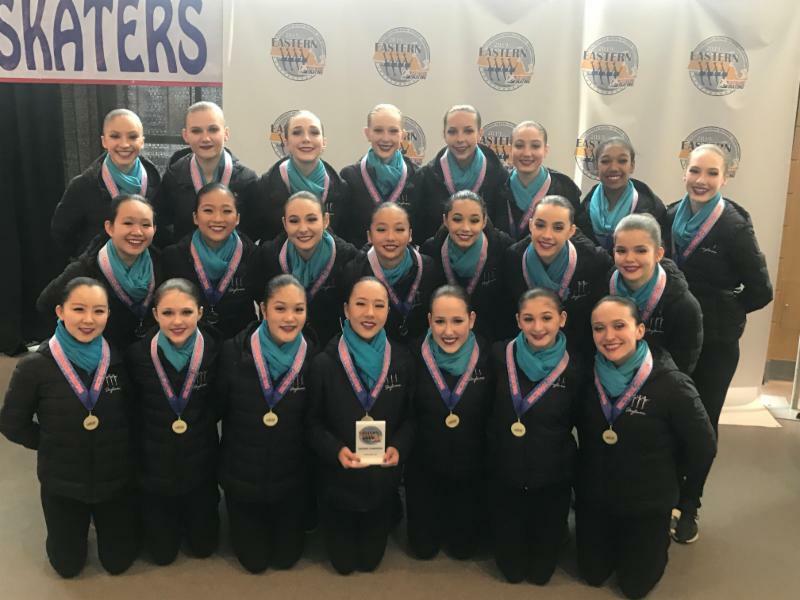 We congratulate the skaters and their coaches, Natalie and Nikki, with achieving a significant milestone on the road to the 2019 U.S. Synchronized Skating Championships! Special gratitude goes to our wonderful coaches, whose talent and concerted efforts earned the team the special award for Best Music Interpretation. 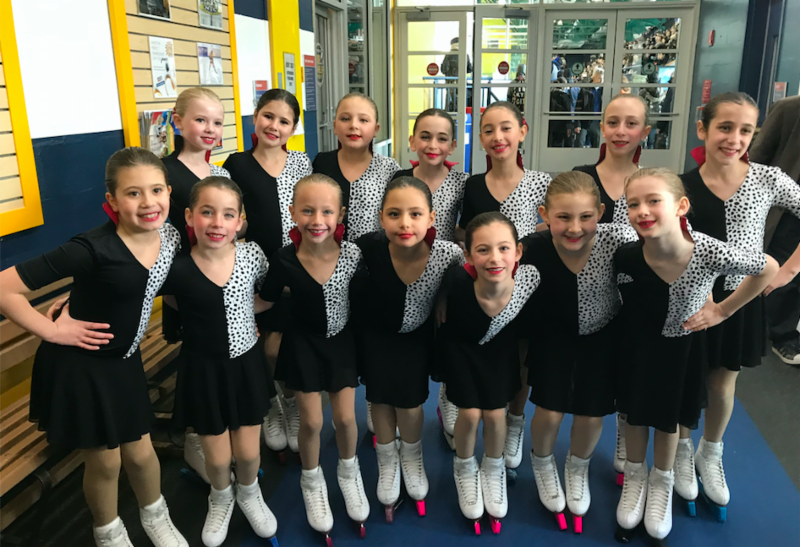 There was so much excitement and enthusiasm among the skaters, who worked tirelessly every day to prove to themselves that hard work and dedication culminate in a joyful and seamless performance. 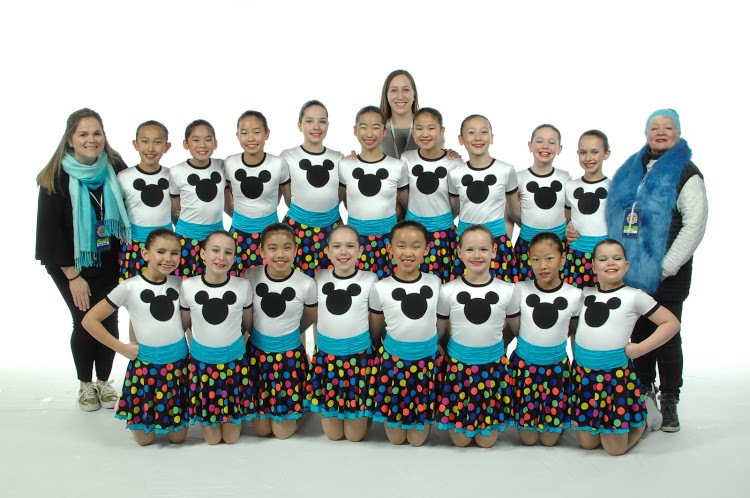 Skyliners’ new Open Juvenile line started and ended their season with tremendous success. The “Vogue 19,” under the direction of their amazing coaches, demonstrated how teamwork and work ethic can make goals attainable. The OJ skaters got to know one another, expanded friendships, were of tremendous support to one another as a team, and as all teams do, met with some unexpected setbacks. The “Vogue 19” want to “express” how delighted they are with their first place showing at Easterns. Thanks to all the support from their coaches and the entire Skyliners organization. The month of January has been very exciting! 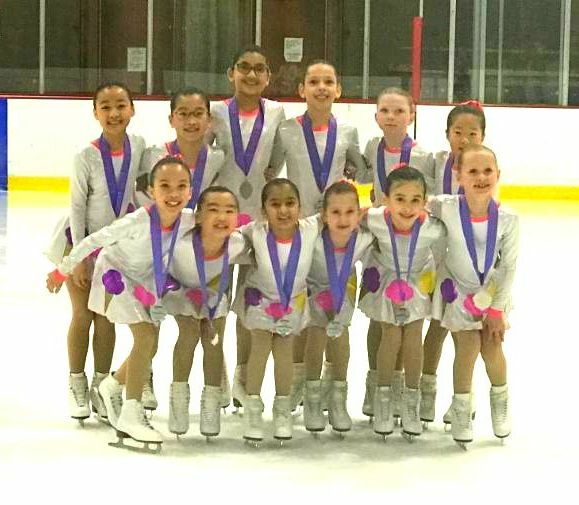 NJ OJ started their month competing at the Colonial Classic, where they took Gold! 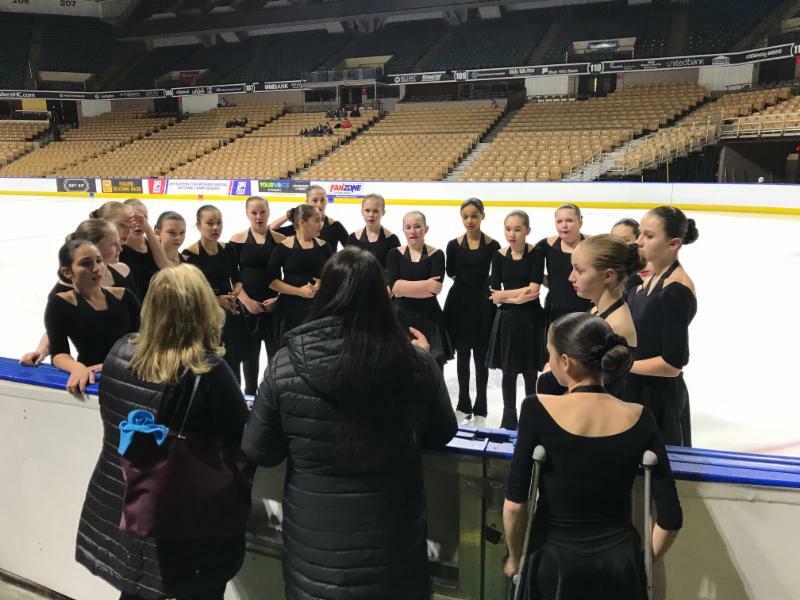 They spent the rest of the month practicing and getting ready for the Eastern Sectionals at the DCU Center in Worcester, Ma. It was a fun-filled week with quality time with OJ, multiple practices, and a delicious team dinner at 110 Grill. The skaters were super-excited to come in 1st place in the qualifying round, and then go on to win the Bronze medal in the championship round. They are so thankful for their wonderful coaches Lori & Stacey. They were excited to close the season with a Bronze medal at the Connecticut Classic! 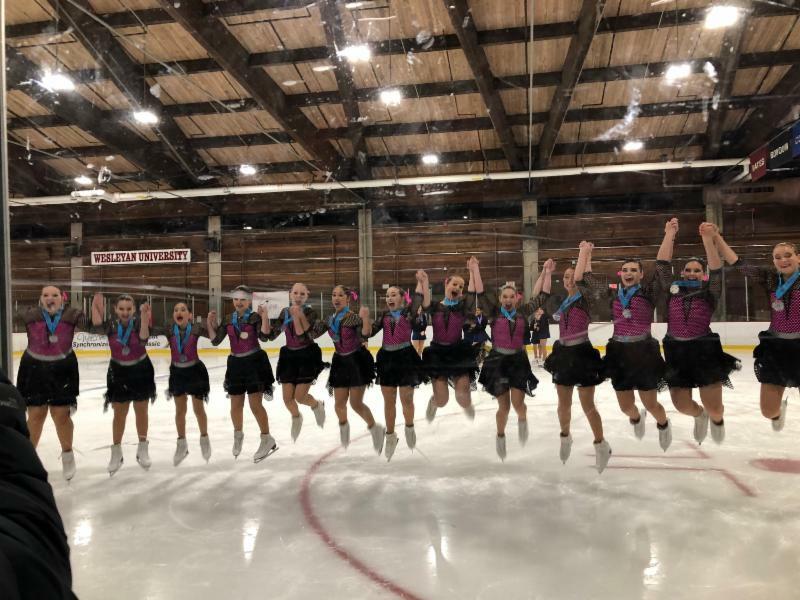 The Intermediate line is flying high after earning a Silver medal at Easterns! They have worked so hard and their efforts are paying off. After the competition on Friday, the line got together with Juvie on Saturday to enjoy a bowling and pizza party before going to DCU to cheer on Novice. Congrats to all Skyliners lines this past week! After a fantastic skate and coming home with a medal from Colonials, the Novice skaters got right to work to prepare for Easterns. Putting in numerous weeks of practice, filled with high-energy and focus, Novice departed for Worcester, MA ready to perform their best. 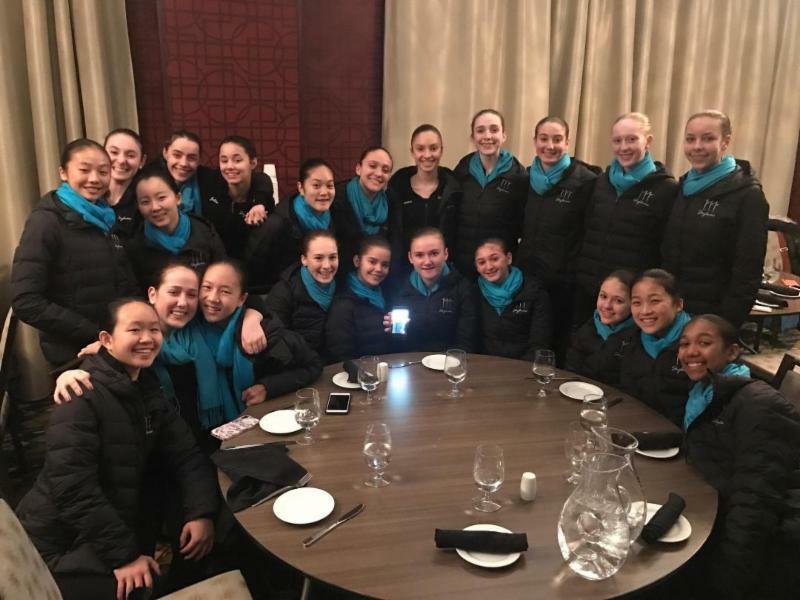 The week of the Eastern Synchronized Skating Sectional Championships was filled with many laughs and good times, as the girls shared bus rides, team meals, homework time and downtime together. The team worked extremely hard, both on and off the ice, to perfect their routine - and it certainly paid off! They emerged as the Gold medalists and the Eastern Sectional Champions! Now, on to Nationals! Go Novice! 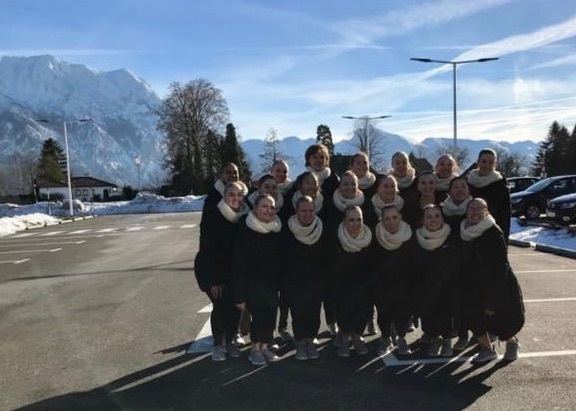 After returning home from Austria for a week, Skyliners Junior headed to France to compete in the 25th Annual French Cup. Because a few of our team members got sick in the days leading up to our departure, health and hygiene became a top priority, and face masks and hand sanitizer were in heavy use! Fortunately, the germs didn’t follow us to France, and we had an amazing time. In the days leading up to the competition, we had some great practices and even better food. 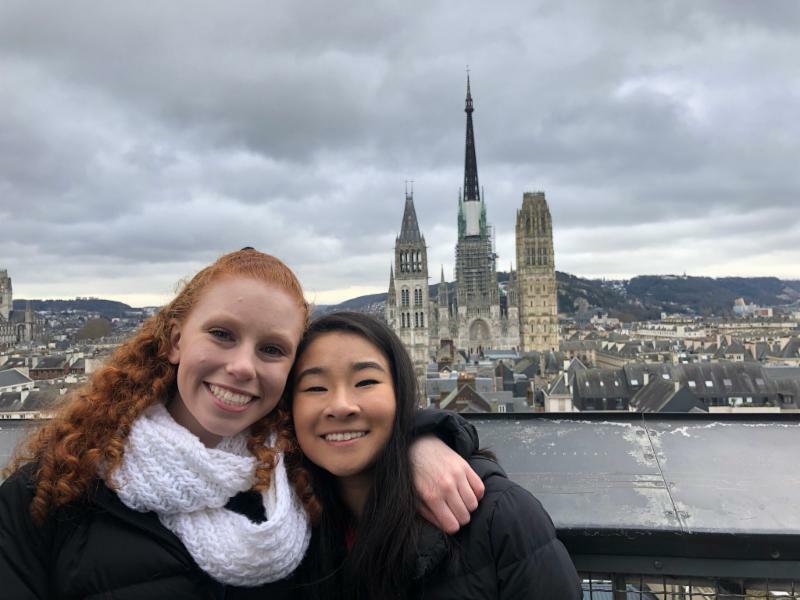 On Wednesday, we were able to tour the picturesque town of Rouen, and many of us climbed to the top of the iconic clock tower for a breathtaking view. On Friday, we skated our short program and received a score of 74.00, landing us in 3rd place. While we were happy with our performance, we recognized that there was still a lot of room for improvement, especially technically. The next day, after a good official practice, we went into our long program fired up and ready to do our best. We were delighted with our skate, which received 113.35 points and left us with a total score of 187.35 and a Silver medal! After a fun awards ceremony, where we met some international friends, it was time for one of my favorite parts of the competition – watching the Senior division. The stands were packed with fans from all around the globe, and the energy in the arena was amazing. Watching some of the best teams in the world take the ice was incredibly inspiring, and we returned to the U.S. on Sunday, motivated to work even harder in preparation for Nationals! Watch the French news report featuring Skyliners by clicking on the video above. 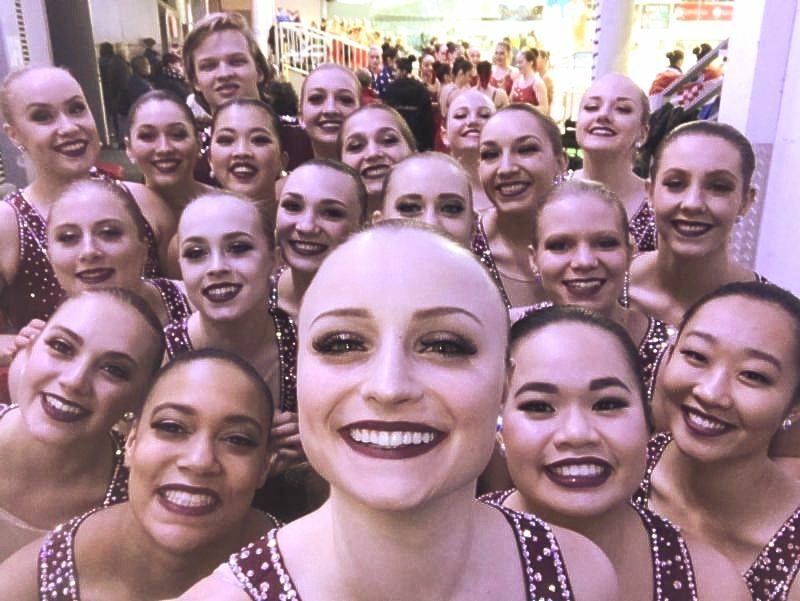 This past month, Skyliners Senior had a great time representing Team USA at the Mozart Cup in Salzburg, Austria. After some minor delays caused by heavy snowfall in Southern Germany, we arrived safe and sound in Munich and proceeded to take a two-hour bus ride through the picturesque snow-covered mountains. We had practices in both the competition rink in Salzburg, Austria and the practice rink in Gmunden, Austria. These practices allowed us to shake off the post-flight legs and gear up for the competition. The second day we were in Salzburg, we had the opportunity to go into town after our practices. When we arrived in the center of the city, we split up and wandered all over the getreidegasse, one of Salzburg’s most iconic tourist destinations. Some team members traveled up to the Castle to watch the sunset, while others took advantage of the fantastic shopping streets to gather souvenirs. We ended the day with a great dinner with the Junior line and our coaches. The next day, we had our last unofficial practice before the competition. We went to the opening ceremonies and on-ice draw, where Lilly Betschart and Spencer Emerson represented our team on the ice and we drew 3rd in the first group. On the day of the short we had a strong official practice and then went back to the hotel to rest and get ready for the competition. Even though we didn’t get all the calls we wanted that night, we had a good performance with lots of energy. The next day, we showed up to the rink to skate a stellar official practice, which really set us up well for the long that night. We had an emotional long program that could be felt throughout the audience. With two clean skates, we were proud of our performances and congratulated the other teams at the competition for their strong skates as well. Our overall score was 194.23 points and we finished in 6th place. There was some truly remarkable skating in all the divisions at this competition, and we were proud to represent Team USA with the Haydenettes, Hockettes Junior and Skyliners Junior. We are excited to compete again internationally in Croatia, and hope to continue to improve our programs and score higher than we did previously this season. EDITOR'S NOTE: The Senior line just won Silver in Croatia at the Zagreb Snowflakes Trophy. Big congrats! 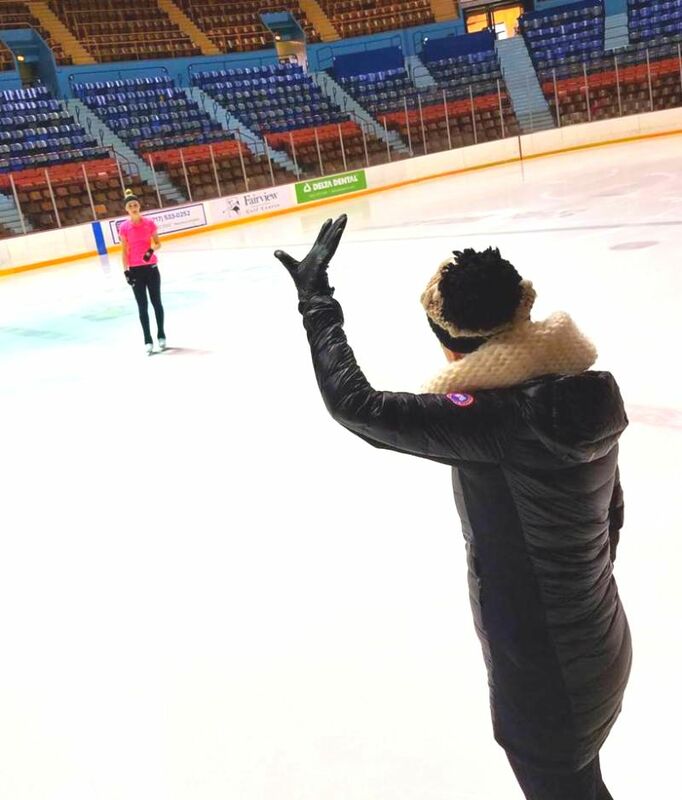 PAULA WAGENER is currently the Skyliners Skating Performance Coach, working with the older lines during their off-ice in the competitive season, and teaching choreography & performance skills at our annual Summer Splice camp. Many Skyliners skaters work with you on choreography and interpretation. Can you tell us about your background in dance and choreography. I am a classically trained ballet dancer. My life and friends were in the studio training and doing choreography for my mother’s ballet company. I stopped dancing due to a knee injury at 16 and lost my chance to join the American Ballet Theatre summer school/apprenticeship program. I began doing ballet choreography for my mother’s regional ballet company, The Evanston Concert Ballet, while I was in high school. Ann Barzal, then a dance critic with Dance Magazine and the Chicago Daily News, became my mentor. 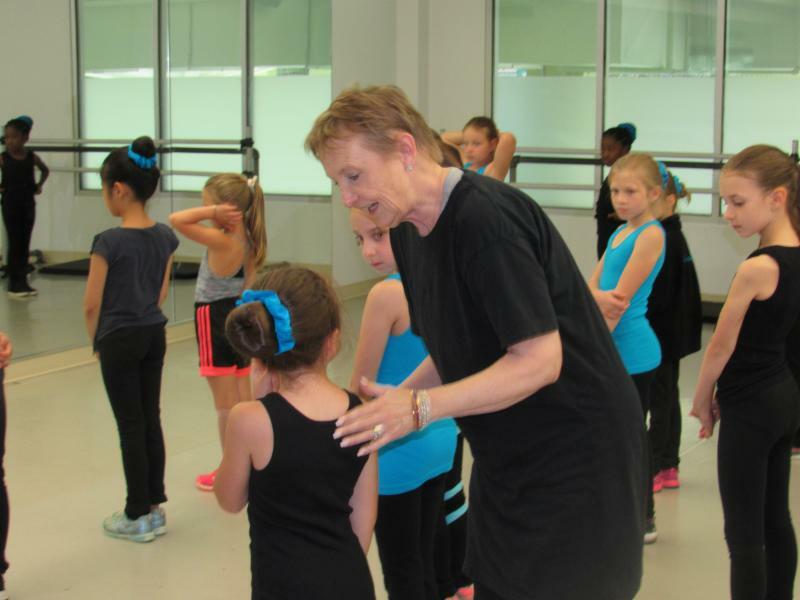 She gave me the Young Choreographers Award through the Chicago Daily News for multiple years, and was extremely encouraging to me. ﻿ What college did you attend and did your work with choreography continue? I attended Barat College in Lake Forest, Illinois. My sophomore year, I transferred to Marquette University, where I had tested out of several credit hours so that I was able to graduate from Marquette one year early and finish college in 3 years, rather than 4. My major was Business with a minor in Interpersonal Communications. My career objective was to move to New York to go into public relations. 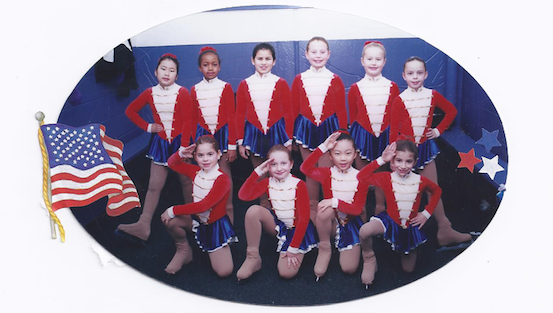 During college, I taught ballet to competitive gymnasts in Wilmette. I began to work for World and Olympic gymnastics coach William Sands, working on his ballet, dance and movement for his competitors as well as his floor routines. I worked for him when the US boycotted the summer Olympic Games, where we would have had two members on the Olympic Team. Bill was dating a figure skating coach at the time, Debbie Stoery, who began to use me for her skaters. I can still remember the first class that I taught at the Northbrook Park District for Debbie, when I wore a black leotard, pink tights, black teaching skirt and pointe shoes!!! I then met Ricky Harris (Scott Hamilton’s and Brian Boitano’s choreographer) who took me under her wing and got me on the ice. I fell in love with working in figure skating immediately. I felt that I was needed and could help make a difference. In 1987, I had met Rosemary Santee. Her sons David and Jimmie were skaters coached by World and Olympic coaches Evy and Mary Scotvold in Janesville, Wisconsin. Mrs. Santee wanted me to work with her sons, particularly Jimmie. I began to make the 2.5-hour commute to Janesville, arriving every morning at 5:30am. I sat in the stands to watch and learn. I knew this was where I wanted to be. After several weeks, Evy called me down to the hockey box. He asked if I would be receptive to working with them as an apprentice both on and off the ice. They would teach me skating and Mary would train me to work on her programs. I traveled with them to competitions with the skaters, and they made sure that I was introduced to many of their coaching peers. They were both instrumental in helping me to build a career. I am very fortunate that they took such an interest in helping me. I then began to develop the off- and on-ice philosophy that I have today, integrating dance into body placement over the blade and figure skating movement. When I received my PSA (Professional Skaters Association) Master Rating in Chorography and Style in 1989, I became the only “non-skater” to receive that. The PSA felt that I should learn to skate. This was 1989, so I was 31. How and when did you get involved in synchro? 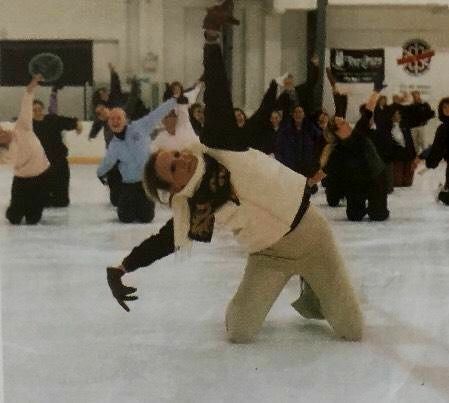 I worked a little with a small synchronized skating team (at that time ‘precision’) in Chicago, Illinois where I am originally from. It was a new team that ended up dissolving. I was then contacted by the Gems in Michigan, where I was brought in for my first seminar. U.S. Figure Skating began the Synchronized Skating Festival, where I was invited to be a presenter. 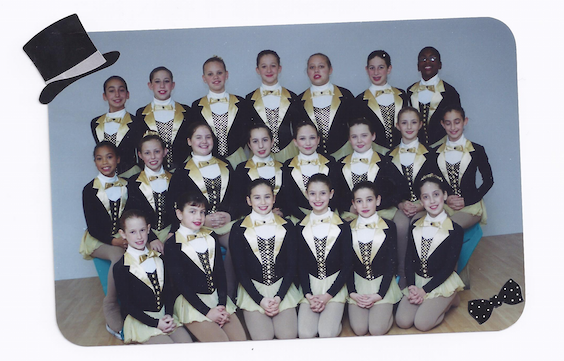 I then began working with several synchronized teams, including Saratoga Stars, Philadelphia Symmetry, Precisely Right and the Haydenettes. I had been working with Hayden for several years when my husband and I relocated from Albany, New York to Debary, Florida. I knew that I wanted to stay in synchro so I put the word out that I was available, if any top team would like to speak with me. I was teaching a dance class for coaches in Columbus, Ohio at NARCE. Josh was attending the conference. He took my class. After class, I received a text from him to schedule a time to talk. I remember jumping up and down, I was so excited to become a part of Skyliners. I had always held tremendous respect for Josh. 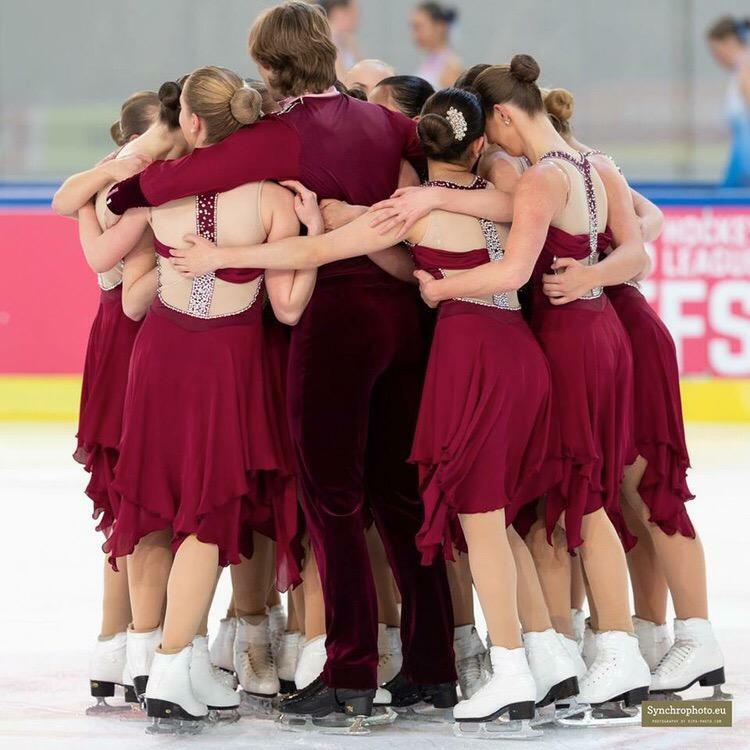 How would you describe what it means to be Skyliners’ Skating Performance Coach? I developed that title, as I do not consider myself to be a figure skating choreographer or a dance teacher. 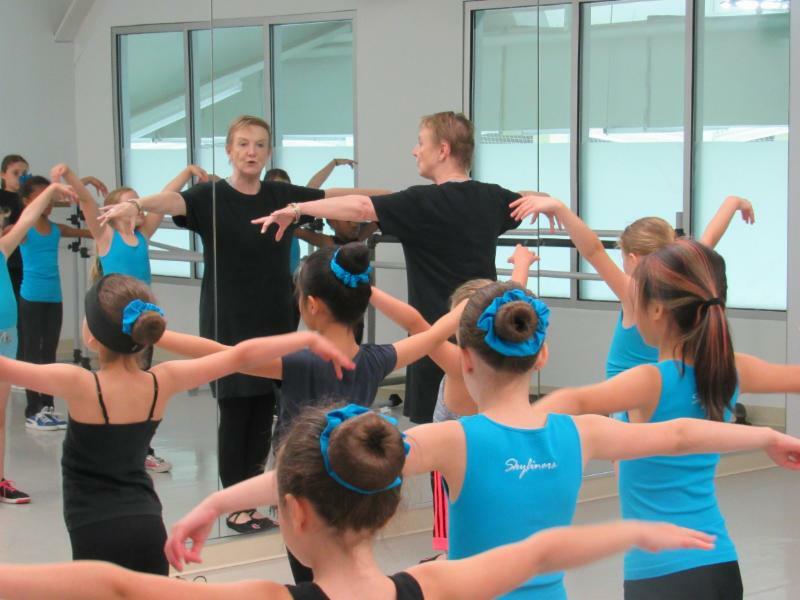 Over the years, I have developed a niche working with choreographers and coaches. I consider it my job to develop programs both artistically, emotionally and physically. In terms of the Skyliners, you will often find me watching Josh, Pam and the other coaches on the ice. It is important that I know what they are looking for and that I am a member of the team. I really try to listen and observe so that I can bring out in the skaters what the coaches are looking for. I analyze movement and the rhythm and flow of movement, and incorporate it into my off-ice training for the teams. What is the biggest challenge in coaching for you? My challenge is to educate skaters. I want them to respect their off-ice training like they do their on-ice training. 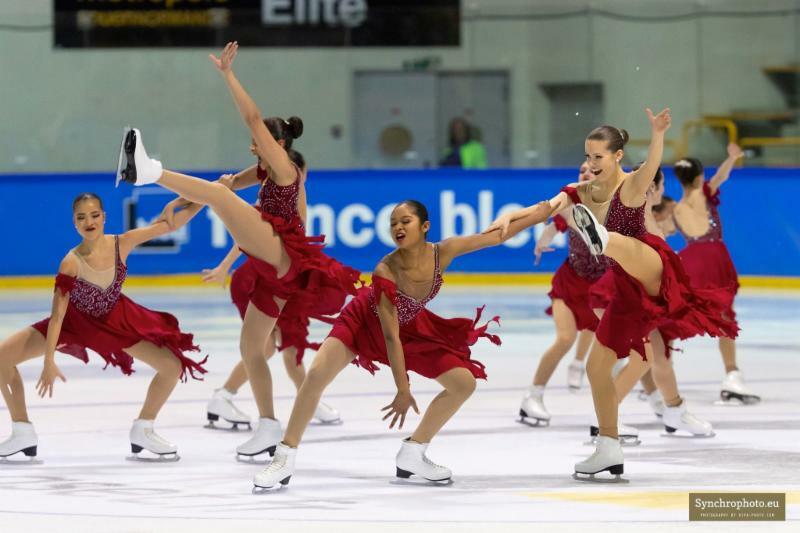 It’s no longer just about the “skating.” The successful skaters, whether they be freestyle or synchronized skaters, will be the ones who strive to develop as both artists and athletes. In Europe, they train 2 hours off ice for every hour on ice. This includes training in art and music as well as kinesiology and dance. My dream is to develop a similar program in the United States. What is the most rewarding thing about coaching? I will share one of my most rewarding moments with you. After receiving an award for figure skating accomplishments, a skater hugged me and said, “Thank you for making me love figure skating again.” Those words meant everything to me. More than any medal. What are some of the most important things you learned from skating that apply to other experiences in your life? Skating has given me self-confidence . When I began I figure skating, I was extremely shy. I was very shy growing up. Dance and choreography were my outlet. I could be anything and anyone I wanted with movement. It was my creative outlet. Skating changed all that for me by accepting what I have to offer. Skating has taught me to overcome self-doubt. At one point, I was afraid to fly. I remember getting on that first airplane going to Midwestern’s for Evy and Mary Scotvold. I worked up the courage to get on that plane and thank goodness that I did. Skating has given me dear friends and an extended family. My skating family has been there for me during every chapter of my life. We have a bond that will never be broken. Describe your life outside of Skyliners. Work? Hobbies? I live in Debary, Florida, which is a very small town between Orlando and Daytona. My late husband, Jeff Blonder, and I moved here in 2012. Jeff was an Interventional Radiologist at Florida Hospital. Today my parents (96 and 101 years old) live about 20 minutes away from me in assisted living. My mother was a ballet teacher who had a ballet company and my father was an artist and sculptor. 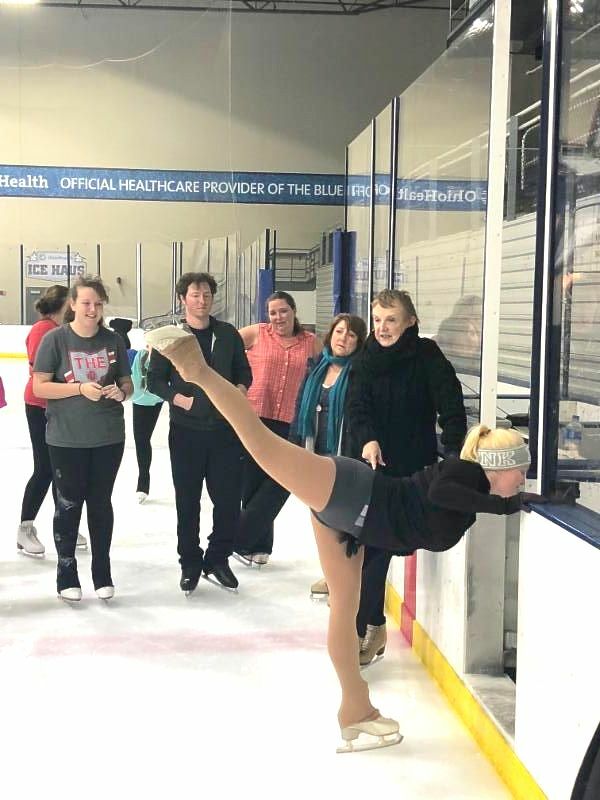 I am also the Director of Figure Skating at the Ice Factory in Kissimmee, Florida, where I am working on building figure skating in Central Florida. Previously I had worked for a large rink management company, Advanced Arenas, where I was directing multiple figure skating operations and program – approximately 6 – 7 rinks at any one time. I am on the Master HOA Board of Debary Golf and Country Club, and oversee our communications committee for the homeowners. I am currently renovating my home here in Florida! I am also expanding my company Artistry in Motion, and am developing some new projects. I have served on numerous figure skating committees over the years for both US Figure Skating and the PSA. I currently am a member of the US Figure Skating Learn to Skate USA committee, the US Figure Skating Program Development Committee and the PSA National Education Committee under Robyn Poe’s Sport Science Committee. My husband loved cats and rescued every cat and dog that he could. I have a cat family of Tux, Max, Sophia, Farrah Fawcett, The Countess Pip Olinska, James Bond, Clint Eastwood and Lily Rose Blonder. What are some things that people might be surprised to learn about you? I will share a story with you. My mother always wanted me to be a figure skater. She had been asked to join the Ice Capades when she was younger. I took one learn-to-skate class at Dyke Stadium in Evanston, Illinois. I sat on the ice, cried hysterically and the Zamboni driver had to carry me off the ice. 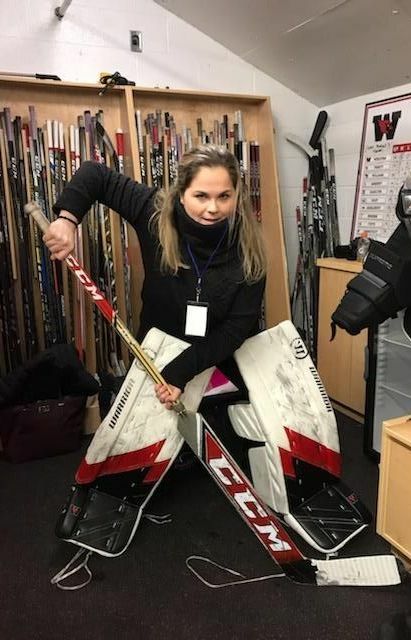 Many years later, while I was presenting at a seminar, I had a conversation with an older coach who was talking about the worst learn-to-skate student she had ever encountered…and I quickly figured out that student was me!!!! Skyliners is an amazing organization. It is a privilege to work with your coaches and skaters. Thank you so very much for the opportunity! 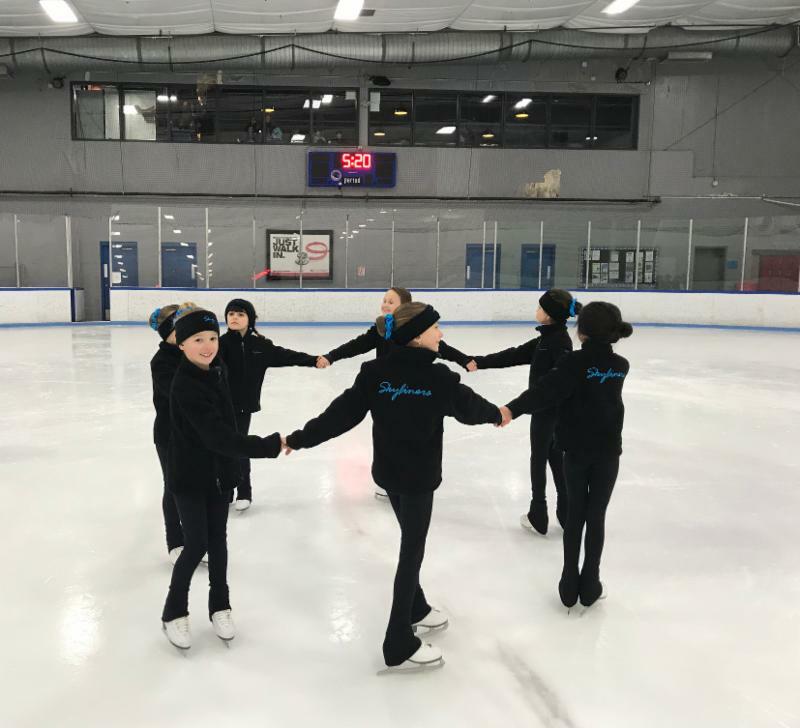 Skyliners was established in 2001 by a group of parents who wanted to create the most competitive synchronized skating club in the tri-state area. 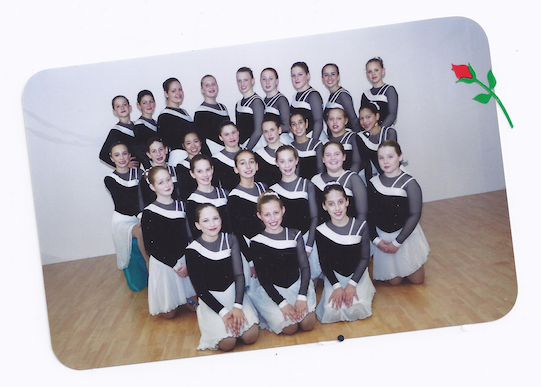 In that first year, the team had three lines - Preliminary, Juvenile and Intermediate. 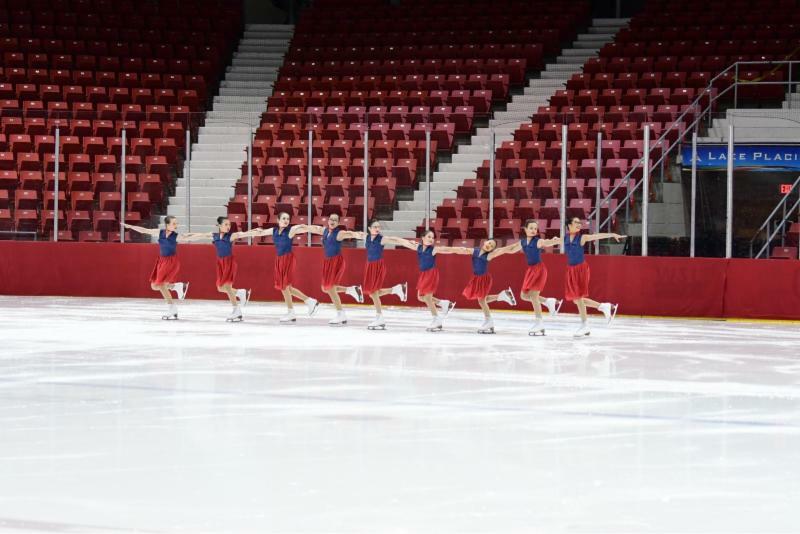 Eighteen years later, Skyliners has grown into one of the top synchronized skating teams in the country, now 16 lines and 270+ skaters strong. While the majority of the skaters reside in the tri-state area, we also have skaters from California, Florida, Massachusetts, Michigan, Minnesota, Pennsylvania, Virginia, Wisconsin and Finland! Our resume of achievements includes 30 Eastern championships, 12 National championships, 8 International gold medals, an historic Junior Worlds Silver medal....and 11 years designated TEAM USA. Parents & Skaters - We encourage you to download the SI PLAY app on your smartphone or tablet. It works in conjunction with League Athletics, offering schedule, team chat, roster, photo & video uploading capabilities. Use the same account information as you use for League Athletics, and you can link in to your line's information.